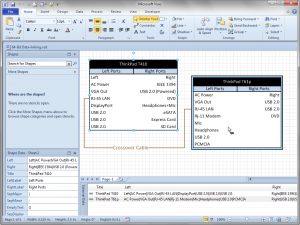 I ran into a problem linking Visio shapes to Excel data the other day. If you are running 64-bit versions of Windows and Microsoft Office, you might run into the same problem. Fortunately, the solution was quite easy! My Lenovo ThinkPad T410 runs Windows 7 Professional 64-bit, and I have Visio Premium 2010 64-bit installed as well. 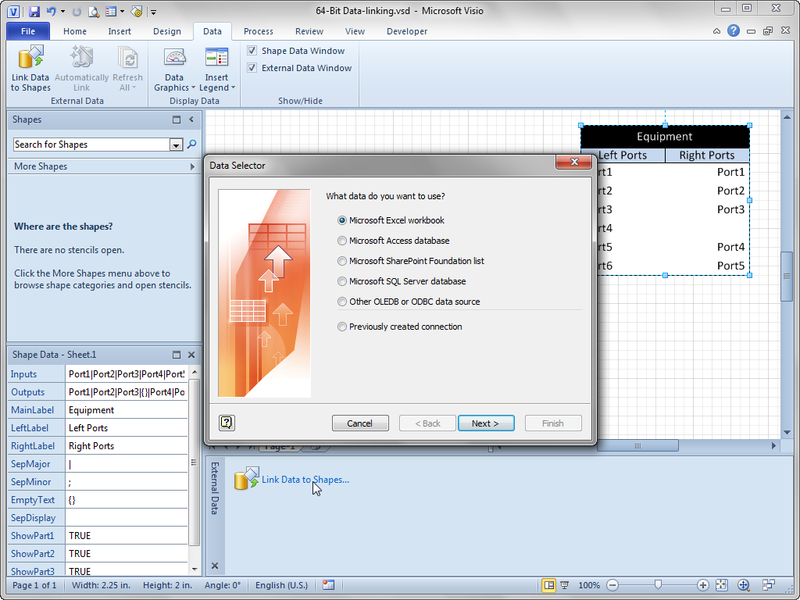 I opened Visio’s External Data Window, clicked Link Data to Shapes, which started the Data Selector wizard. 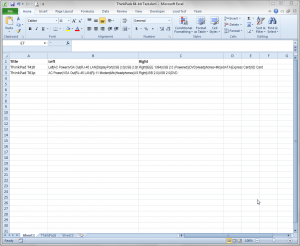 Well, we just saw that it most certainly IS an Excel file, so that didn’t make any sense! Maybe plain English to some of you, but Greek to me! Solution? Download and Install Something! 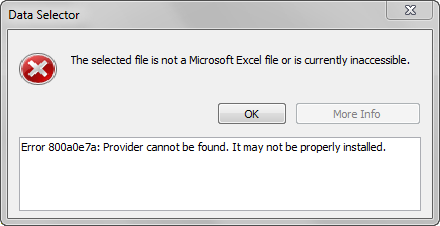 I poked around a little bit, then thought about the word “Provider” in the expanded error message. I know that data drivers or data providers allow all these apps to communicate with each other, but I don’t really know–or care–about details. At any rate, I figured there must be something new. Make sure you get the 64-bit version! 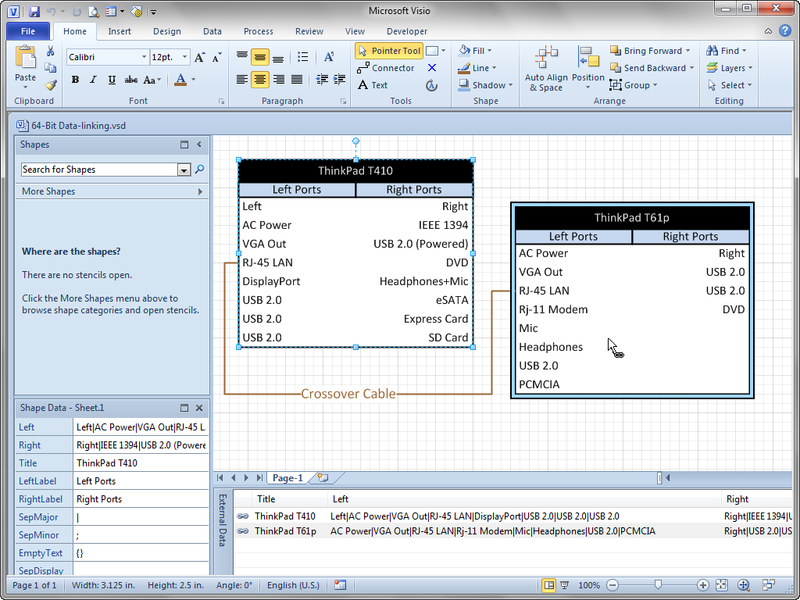 The new engine allowed Visio to extract data from Excel files. So What’s Going On? Chime In, Please! I really don’t know where the weak link is. Do default installs of 64-bit Windows 7 and 64-bit Office & Visio 2010 work just fine regarding data-linking, and I had somehow gummed up my system? Do Microsoft’s default installs really overlook this problem and leave you with non-functioning Visio-Excel communication? If you know more about this, please leave a comment below so we can better understand the problem! The issue of moving data-linking between versions can get interesting on a couple of levels. The first of course is the ADODB drivers involved (a real change between v2003 and v2007) and another between the MMC utilities (Microsoft Management Console–different between x32 and x64, with the default being the system you are on – not the application you are trying to control). 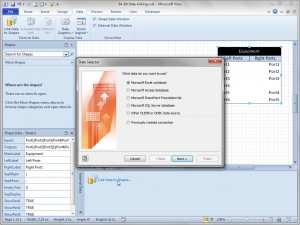 I also found this article: Accessing Excel files on a x64 machine, which seems to be related. But I still don’t fully understand the root of the problem. 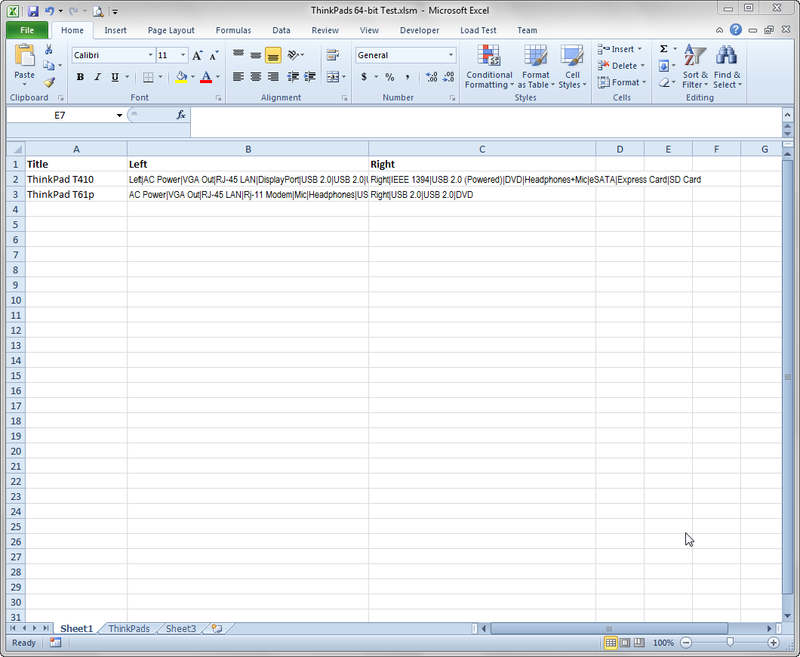 The non-techie answer is that Visio does not launch the Excel application and go through the Excel API to get data from a spreadsheet. 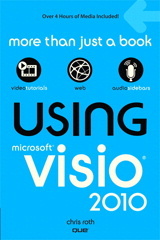 Rather Visio uses the Access Database Engine to treat the Excel spreadsheet like a data source. Visio does not have a specific error message for this 32/64 bit mismatch condition and shows a more generic error. 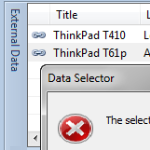 In fact only the first error message comes from Visio. The error message under More Info comes from the Access Database Engine. I went back to 32-bit. Some programs didn’t seem to like Windows (32 bit) on Windows (64 bit) (WOW) and Office 2010 x64 doesn’t support Windows Mobile Device Center, so you can’t sync your phone to your desktop. W7 x86 has been rock-solid and even though x64 was a little faster in a few places, I’ll take the reliability. Error message is illogical but wonderful solution!